There have been very few times in the past couple of years that I have read something that gives me great pause. As someone who finds much joy in reading, I often do it so quickly that it takes multiple occasions and read-throughs for things to digest. 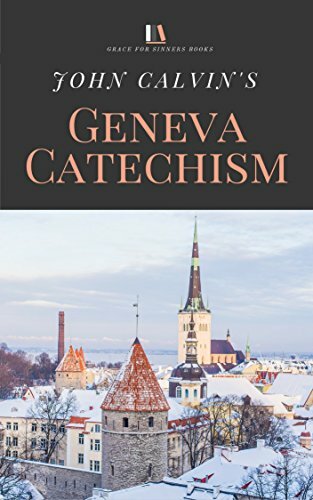 It took me weeks to get through the first section ("Faith") of Calvin's Geneva Catechism. While not my first foray into catechetical instruction (my journey to Reformed theology came to a head as I read through the Westminster Standards), I was struck by how rich the theology is in Calvin's answers. There were multiple nights where I would read the same question and answer over and over, fleeing to Scripture to reflect on and rejoice in the marvelous truths on display. I felt foolish, having let the catechism go by almost unnoticed. This isn't the fault of the catechism itself, however. As Joshua noted in his introduction, the language doesn't always make for direct memorization and caused the catechism to fall out of favor and publication. Without doubt, this is a great tragedy for the body of Christ. I could not be more joyous that there is an effort in place to republish it, that it might find a wider audience. The version I stumbled upon is poorly formatted and has a great many errors in grammar. Were it to be the only version available, I would find little reason for it not to remain in obscurity. Other versions are scattered over the internet and on Kindle, but none of them help to make a case for how valuable it is. "Q52. You say that Christ had to become man, to fulfill the office of Saviour, as in our very person. A. Yes, indeed. For we must recover in Him all that we lack in ourselves, and this cannot be done in any other way."